Who doesn’t like a sale? At Dejabrew, our service is built on giving you the best competitive pricing to elevate your brand by making you look good. We aren’t afraid to show you our best sales offers and lay it all out on the table. 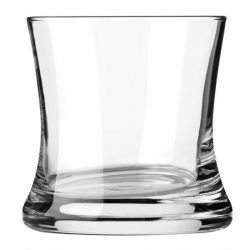 Here's a in interesting design- the Samba Rocks Glass. Designed for a single or double pour, the 8.5 ounce volume ensures plenty of room whether your pour is neat or on the rocks. 12 per case- What's more, when you call Deja Brew USA and speak to a design professional, you'll get a beautiful logo that represents your brand imprinted on to every single piece of glassware you order. 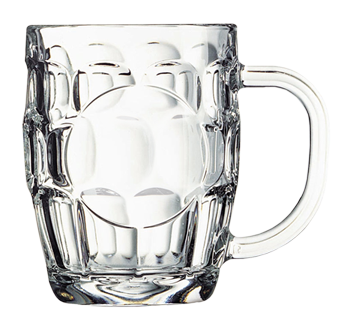 This Master's Reserve Pilsner glass was designed for- you guessed it- pilsners- but any beer would look great in this classic design, which holds 16 ounces and comes in cases of 12. Even better, when you order from DejaBrew, not only can we help you design a logo, but we can imprint it on every piece of glassware to help you make a lasting impression. Hail Britannia! Or at least hail this beer mug, which has a large, un-textured spot on the side for your custom logo/imprint. At 20 ounces, this much lets you give clients a generous pour with a fragrant head. These come 24 per case- contact DejaBrew USA today about designing and then printing or etching your custom logo on all your glassware.